Look at a job description for a software engineer these days and you’re likely to stumble across the phrases, “big data”, “data scientist” or “machine learning.” Data is truly the celebrity of our times. As we go online more and more, businesses are seeing unprecedented volumes of data (forget the terabyte, we are talking petabytes here!) enter their systems. Businesses not only have to tame this voluminous data, but they also need to interpret the streams of raw data flowing into their system constantly. With this deluge of data pouring in, businesses are desperately looking for help from the superheroes of data: the data scientists. For international companies who have clients in Singapore and the region, there is a compelling need to source for local data science talent. Yet, this pool of talent proves elusive for smaller companies who need the heavyweights but may not have the resources to import their talent with them. Weighing this issue down is the mismatch between responsibilities and skills; data scientists often get mixed up with other data experts such as data analysts and big data professionals. Let’s be clear, what is data science? It wasn’t too long ago that the work of data scientists was the same as computer scientists. As the volume of data kept growing, the discipline morphed from computer science to business analytics and data analytics. With the dawn of Big Data, it shifted again to what we now, think of as data science. How it shall evolve depends on the state of future data. Surprisingly, the first use of “data science” can be traced all the way back to 1996 when it was used as a conference headline. But it really was the 2012 Harvard Business Review (HBR) article that made the term mainstream. The HBR article profiled data scientist pioneer Jonathan Goldman and his work on predicting recommended connections for Linkedin Users, bringing the term, “data scientist” as we know (and love!) today into popular usage. Can a data scientist by any other name, still be a data scientist? After the 2012 HBR article, data science as an industry genre started trending and there was a sudden surge in “data science” courses. But as it turns out, many were business analytics courses that rebranded themselves to cash into the data science trend. This led to confusion in the market around what these different data experts did. In addition to existing analysts, there was a new breed of data experts but they seemed to be doing the exact same work as data and business analysts! Business analytics typically deals with information in the past to gain insight into business planning. Business intelligence, a subset of business analytics, is interested in historical business data. They both use descriptive statistics and reporting or visualizing data of past events. They work with data science if they need predictive modeling to gain insight into the data. Data analytics occupies more of a grey area and can overlap into the work of a data scientist in early startups. Typically, it deals with structured and “cleaned up” data to draw conclusions and provide insights but more experienced analysts could map raw data and convert it for consumption. Data analysts are often also responsible for data visualizations for the businesses, creating reports and dashboards. Data scientists can dabble in data analysis in the course of their work but their primary focus is to engage with the data from multiple data streams to detect patterns that can help him create predictive models. They also bring structure to formless data so statistical analysis is made easier and more accurate. They can choose to specialize in data cleaning, data shaping or machine learning. First, the facts. Singapore is serious about data. According to EDB, data analytics annually contributes about S$1 billion to the Singapore economy with regional data analytics services projected to reach S$27 billion. Singapore is also playing host to Facebook’s data center, poised to open in 2022 as well as Alibaba’s first joint research institute outside China. Second, the talent. An overview of Linkedin shows that there are about 2000 professionals in Singapore who identify themselves to be in data science. The experience of these professionals seem to be evenly distributed; individuals who identify as having more than 10 years, 6 to 10 years as well as 3 to 5 years of data science experience all hover at a similar proportion. Unsurprisingly, a large proportion of these candidates are employed by Grab. Despite these promising numbers and the support from the government, the challenge to find high-quality talent in abundance persists. What are the superpowers of a data scientist? Who better to shed some light on what the market is looking for than the market itself? 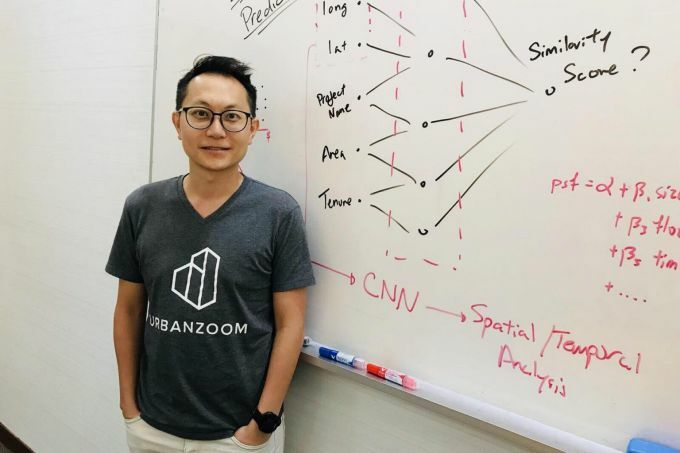 We mined insights from two startup founders: Ken So, founder of Flowcast, a Silicon Valley fintech startup with clients in Singapore, and Mike Cho, founder of Urban Zoom, Singapore’s first AI property valuation tool. A well-rounded technical person who has the soft skills and capability to apply theory to real-world issues. If it sounds like everything, well, that’s what sets apart exceptional data scientists from the average! A technically strong data scientist makes analysis easier but more importantly, creates an ongoing relationship with data so that it can be meaningfully used to support business decisions. But that’s not enough! A technically strong data scientist who has the relevant soft skills will be able to hold his own in a business setting, using the relevant communication skills to tell a story with the data, shaping stakeholder perception and guiding business decisions. While the facts seem sobering now, the government’s interest and investment into data will definitely boost the industry and the quality of talent available. In early 2018, NUS partnered with Grab to set up an AI lab with an initial investment of S$6million while NTU’s Data Science and Artificial Intelligence Research has attracted support from leading tech companies Nvidia and Paypal. With such big money backing the data science scene, it’s clearly a matter of time before talented data scientists start blossoming and match up to the expectations of the industry.